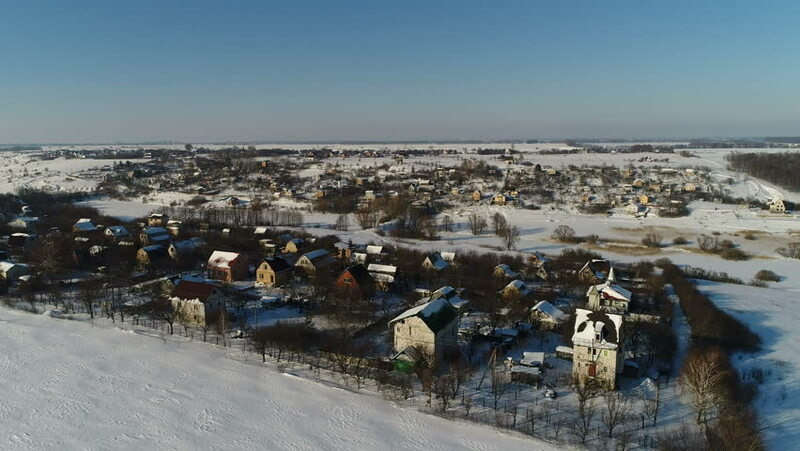 Aerial shooting winter snow-covered meadow and countryside ukrainian village. Frost sunny day with clear sky. No people. 4k00:14Above view of many cars parked on the street in a small town.